Many sectors in the IT space are in a state of change. However, with technology, it can sometimes be hard to see. As we look back years later we can see massive changes that occurred, and often times we don’t realize those fundamental shifts are happening while we go through them. We’d argue that this is happening right now in the identity and access management (IAM) world. So, what does the future of identity management look like? Is it cloud identity management? Many IT folks are wondering whether the IAM space will simply become the cloud IAM space. A common trend with the cloud is to simply add the word cloud and introduce yourself as new. Is that what will happen to identity management? Will we simply add the word cloud and call it a day? Maybe if the only thing that was changing in the IT sector was where things were hosted, simply shifting the IAM solution to the cloud would work. But, we all know more has changed than where things are hosted. Today’s IT infrastructures look nothing like they did 15 years ago. Data centers have shifted to be essentially provided by AWS and Google Cloud. IT and DevOps engineers don’t build their own facilities or even collocate with others often, because they simply can add IT compute and storage resources on a whim. Web applications have taken over for on-prem solutions. Additionally, virtually any person in the organization has a SaaS application tailored to their needs and requirements. On-prem environments are dramatically different as well. Offices aren’t filled with wired connections to the Internet or the internal network. WiFi rules the day. But, the internal network may not have much to it other than the connection to the Internet. Employees and contractors are using whatever platforms are beneficial to them. Windows is now only one in five devices in use (Forbes). Many are using Mac desktops and laptops, and Linux has become a popular OS for technically oriented personnel also. Fundamentally, the requirements for what an identity management platform needs to do has changed. Connecting a user to the IT resources they need has been a constant, but how and where that is happening is dramatically different. The core directory service for an organization was Microsoft Active Directory® and it connected users to all things Windows and on-prem. Today, few things are Windows, and perhaps even fewer are located on-prem. 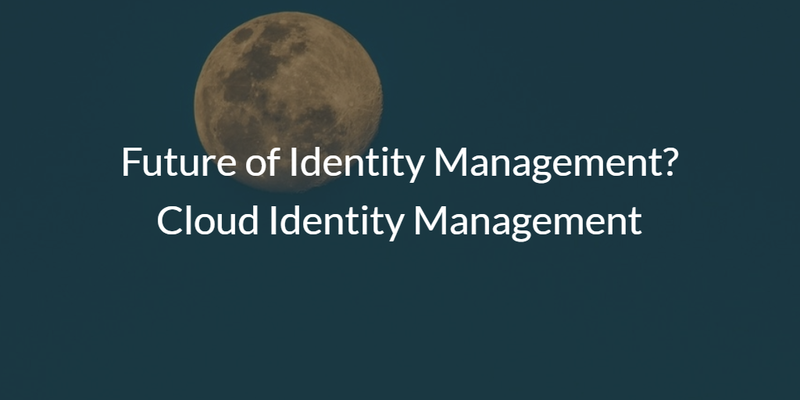 A new generation of cloud identity management solution is solving this issue. Directory-as-a-Service® (DaaS) is the future of identity management. It is a replacement for Active Directory in the modern enterprise. 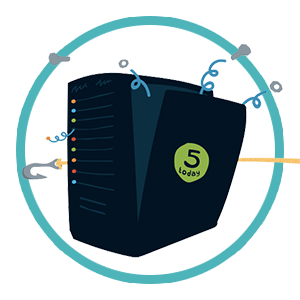 Simply put, the cloud IAM platform securely manages and connects users to the IT resources they need (systems, applications, networks) without regard to platform, protocol, provider, or location. A vendor and location neutral approach to Active Directory. The future of IT isn’t going to be dominated by one provider or platform. It may not even be one protocol. With the explosion of innovation occurring in IT, there is bound to be multiple approaches to solving problems. The future identity management platforms need to embrace this concept – not resist it, like Microsoft is doing with keeping AD on-prem. If you would like to learn more about the future of identity management, and why cloud identity management doesn’t just mean from the cloud, drop us a note. We’ll walk you through why cloud IAM is a transformation to the cloud directory service. If you are inclined, check out the new approach to a cloud directory for yourself. 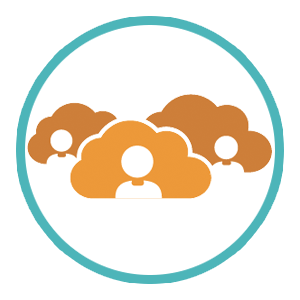 Sign-up for a free JumpCloud Directory-as-a-Service account. Your first 10 users are free forever.